"Recognizing Genius in the Age of Technology: Jobs and Musk"
Genius, in the broadest sense of the word, refers to individuals who display extraordinary intellectual ability or surpassing levels of creativity, the former quality frequently complementing the latter. But what good is soaring intelligence or lofty creativity if there is no achievement that is universal and lasting. Our modern age has seen the emergence of a number of brilliant and imaginative individuals, young heroes of the Age of Technology. Their contributions have been crucial to contemporary life: science, business, engineering, medicine, education, publishing, information-sharing, communication, transportation, self-driving cars, robotics, automation, artificial intelligence (AI), entertainment, art, and social media. Although none of the innovators or entrepreneurs of the present Information Revolution could ever claim levels of creativity in the arts and sciences comparable to a Leonardo or an Einstein, they are, nonetheless, undeniable visionaries inventing the future. The two men on whom we will focus are Steve Jobs and Elon Musk, already legends, who created a pair of companies that are already defining the future. What are their shared attributes and their dissimilarities? What are the battles they have waged, and as entrepreneurs of undeniably of the highest caliber, what can they teach us? 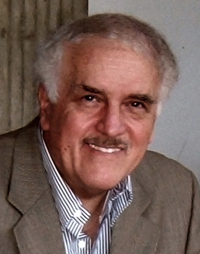 Dr. Bulent Atalay is a scientist, artist, and author. Described by NPR, PBS, Smithsonian and the Washington Post as a “Modern Renaissance Man,” he is the author of two best-selling books on the intersection of art, science and mathematics, with Leonardo, the ultimate Renaissance man, serving as the foil. Atalay’s education in theoretical physics includes training and research at a number of universities — Georgetown, UC-Berkeley, Princeton and Oxford. He has spent the preponderance of his career teaching at the University of Virginia and Mary Washington. "Sustainable Environments and Technological Entrepreneurship In Small Island Development States (SIDS)"
ARK (Adaptation, Resilience, Knowledge) is a ‘think and do’ collaboration of academic, business, and non-profit entities formed to foster sustainable economic development while protecting marine and terrestrial environmental diversity of SIDS worldwide given challenges of escalating Climate Change (CC). The current focus is on Belize and the Caribbean to develop transformative activities and models for CC mitigation and adaptation through two main projects for capacity-building and sustainable regional development. Project #1 is to build an Interactive Working Atlas (IWA) that provides comprehensive baseline environmental assessment data to monitor, and evaluate CC along mountain to reef river corridors. Project #2 is to construct a state-of-the-art Ecology (Eco) Research Park that includes an Eco Research and Testing (ERT) Lab and Eco Business Incubator (EBI) to foster regional entrepreneurship and economic development. Both projects involve regional government, business, and academic participants to establish best practices for Caribbean-wide dissemination through the Open Campus of the University of West Indies. Given the recent and looming hurricane threat, The Center for Maximum Potential Building Systems (CMPBS) in now most concerned with related LandARK and SeaArk initiatives. The focus is on ‘resilient off-grid construction’ using regional resources and material, entrepreneurial talent, and innovative building technologies and methods. LandARK construction includes economically conceived mitigation modules or ‘PODs’ that are implemented as publically accessible hurricane resistant safe housing. SeaARK is a related sea based reef research/ecotourism facility that incorporates repurposed submersible (floating) oil rig platforms. A resulting pyramid shaped POD-City creates an ecotourism as a reef habitat. This temporarily submersible and self-propelled movable structure constantly adjusts for water temperature and light and water quality to become a satellite directed sustainable floating reef city. The LandARK and SEAark projects and innovative practices are meant to inspire regionally-based ecosystems for sustainable value-added technology-based entrepreneurship and development. Pliny Fisk III is the Co-Founder and Co-Director of Center for Maximum Potential Building Systems in Austin, Texas, and Professor Emeritus in the College of Architecture at Texas A&M University. His Bachelors and Masters degrees in Architecture are from the University of Pennsylvania. With a background in architecture, landscape architecture, and the systems sciences, Pliny Fisk III has made pivotal contributions in the areas of policies, protocols, and prototypes. His prototypes challenge conventional wisdom about building system design, engineering, and materials, and have been implemented for a range of clientele and in iconic architecture: The State Demonstration Farm in Laredo; The State Green Builder Demonstration Building in Austin, recognized as one of the top 10 green buildings since 1980 in Architect Magazine; and the 2002 UT School of Architecture Solar Decathlon and the 2007 Texas A&M Solar Decathlon. Pliny’s work has earned several national and international awards including the Lewis Mumford Award, the United Nations Earth Summit Award, the U.S. Green Building Council’s Sacred Tree Award, and the Passive Solar Pioneer Award from the American Solar Energy Society. He has served as an advisor to the MacArthur, Gates, and Enterprise Foundations and has been chosen to serve on the GSA’s National Registry for Design Excellence peer review program. He also works as an inventor. His biography, Pliny Fisk III: Creating a Maximum Potential Future, was recently published by Ecotone Publishing, a division of the International Living Future Institute, as part of their Green Masters Series. "Technology, Innovation and Entrepreneurship – Sharing the Wealth in an AI World"
Traditionally, increased productivity and innovation meant automating routine practices to replace manual labour. As artificial intelligence, driven by vast reams of data gathered from the installation of sensors, is added to the mix, gains are potentially enormous. Similarly, the utility of capital assets, especially those which have been largely owned by individuals, are being monetized through communication and networks which allow them to be shared and utilized by others. These changes could conceivably lead us to a world in which conventional work, as we have known it, largely disappears. However, as this occurs, our social and political systems are being challenged and need to evolve and find ways to identify, value and fund the contributions of large numbers of citizens who will reside outside the wealth generating portions of the economy. Keeping them engaged as motivated participants in the new economy will be imperative to maintain social license for technology developments and innovations. And technological entrepreneurs will need to consider and mitigate the social dislocations associated with their new initiatives. Mr. John McDougall has 50 years of experience in 75 countries in the natural resource, IT, manufacturing, consulting, real estate and investment industries as well as research and development and academia. He retired from Canada’s National Research Council after six years as President, a position he accepted after 12 years as CEO of the Alberta Research Council. 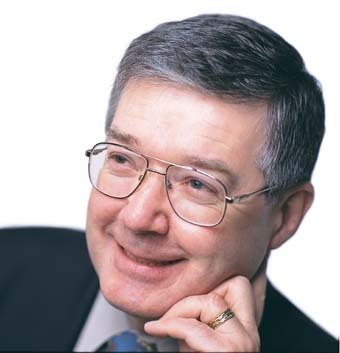 He was the inaugural Chair in Management for Engineers at the University of Alberta from 1991-97, and he initiated Innoventures Canada Inc. in 2006 to bring together Canada’s leading research and technology organizations providing technology development, demonstration and deployment services as centers of excellence for commercialization and research. Mr. McDougall is an active volunteer in business, professional and not-for-profit organizations where holding leadership positions in local, national and international organizations such as The Edmonton Chamber of Commerce and World Trade Centre, Capital Care Foundation, Engineers Canada, St. John’s Ambulance, Eureka and the G8 Heads of Research Organizations. He has also served on dozens of academic and government committees and agencies. "Invention to Innovation: The Role of Scientist Entrepreneurs"
The importance of university spin-offs in the commercialization of highly uncertain, early stage scientific inventions is increasing. While there is a growing body of literature on academic entrepreneurship, not much is known about the role of star scientists in university spin-off emergence. We argue that replicable entrepreneurial capabilities developed by scientist entrepreneurs can translate inventions from the scientists’ lab into well-resourced university spin-offs. We inductively develop a model of the key role played by a star scientist entrepreneur in four interdependent entrepreneurial capabilities: technology-market matching, claiming and protecting the invention, assembling the founding team, and the strategic timing of firm formation. We compare and contrast 30 science-based university spinoffs – controlling for star scientist entrepreneur – to provide evidence suggesting that these entrepreneurial capabilities contribute to success. From this analysis, we draw recommendations for scientist-entrepreneurs, university leadership, and innovation policymakers. Dr. Elicia Maine who is specializing in technological innovation and science entrepreneurship, has used her expertise at home and abroad to guide innovation policy and strategy and to mentor emerging talent. 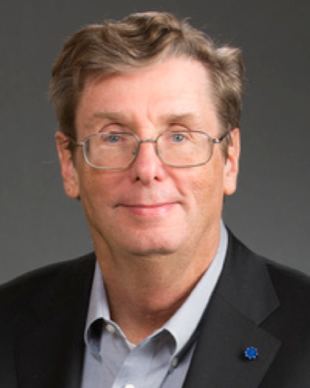 Founding educational coordinator for New Ventures BC, and Academic Director of “Invention to Innovation,” a novel graduate program in Science & Technology Commercialization, Prof. Maine was awarded the 2017 TD / Canada Trust Distinguished Teaching Award and was a finalist for BC TECH’s 2016 “Person of the Year” award. An interdisciplinary scholar and engaged educator, she holds a PhD in Technology Management & Materials Engineering from Cambridge University and master’s degrees in Technology & Policy and Materials Engineering from MIT. Prof. Maine teaches “Managing Technological Innovation” and “Lab to Market” at SFU’s Beedie School of Business, and has published her research on innovation management in Research Policy, R&D Management, Nature Nanotechnology and Nature Materials. She serves on the Boards of Directors of the Foresight Cleantech Accelerator and of BC Innovation Council’s New Ventures BC. "The Making of a Serial Breakthrough Innovator"
What makes some people so spectacularly innovative? Throughout history, some people have become widely recognized for introducing one world-changing innovation after another. In this keynote, I develop case studies of eight such serial breakthrough innovators: Elon Musk, Marie Curie, Steve Jobs, Albert Einstein, Nikola Tesla, Dean Kamen, Benjamin Franklin and Thomas Edison. By examining the stories of their childhoods, their work experiences, their beliefs and motives, I identify those things they have in common with each other yet simultaneously make them unusual from the “average” person. I then examine these commonalities through the lenses of innovation and creativity research to examine the potential mechanisms linking these characteristics and experiences to their exceptional innovation. The result is inspiring: The innovators do have unusual traits and characteristics, and each benefited from situation advantages, however we can tap many of the same mechanisms to nurture innovation in ourselves and others. 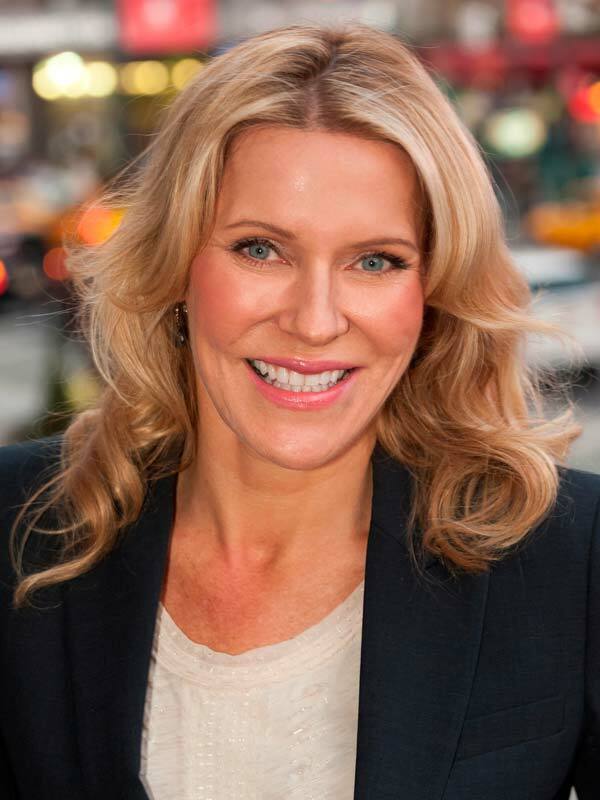 Dr. Melissa Schilling, is John Herzog Family Professor of Management at New York University Stern School of Management. She specializes in Strategic Management, Technological Innovation and Entrepreneurship. Her B.S. degree in Business Administration with majors in Finance, Marketing and Biology is from the University of Colorado, Boulder; Ph.D. in Strategic Management from the University of Washington. She is the winner of the Best Paper Award for her paper in Management Science and Organization Science, and the recipient of numerous research grants from Kauffman Foundation, Nationl Science Foundation and other funding agencies. Dr. Schilling is the author of more than 200 papers, book chapters, cases and conference presentations. Her most recent book "Quirky: The remarkable story of the traits, foibles, and genius of breakthrough innovators that changed the world" is a deep dive into the lives of Elon Musk, Steve Jobs, Marie Curie, Nikola Tesla, Thomas Edison, Benjamin Franklin, Albert Einstein and Dean Kamen. It shows the unusual things they had in common, how these characteristics led to innovation, and how we can nurture our own breakthrough innovation potential. "Enabling Projects Oriented Teams to Drive Innovation"
The study of “wicked” problems suggests that multidisciplinary teams can accelerate innovation to solve complex and intractable challenges such as the early detection of cancer. Detecting cancer early radically increases the chances of survival after a cancer diagnosis, making the concept of team-based innovation potentially essential to decreasing suffering from cancer. The Knight Cancer Institute Cancer Early Detection Advanced Research (CEDAR) Center seeks to actively implement and enable team-based science to accelerate breakthroughs. Our center brings together researchers and entrepreneurs with a range of expertise, experience and perspective to create novel solutions that can be translated to the marketplace. We have created a project driven, flat hierarchy where the best ideas rise to the top and are funded. Putting a true team-based model into place requires intention around incentives, staffing, team development, and output measurement. We will discuss the implementation of this operational model using case studies from active and terminated projects. Dr. Sadik Esener is the Wendt Family Endowed Chair at the Biomedical Engineering Department at the School of Medicine of The Oregon Health and Sciences University in Portland Oregon. He is the Founding Director of the Cancer Early Detection Advanced Research Center at the Knight Cancer Institute. He is also a Professor in abstentia at the Electrical and Computer Sciences and NanoEngineering departments at the University of California, San Diego. Born in Ankara in 1956, Prof. Dr. Sadik Esener received his BS degree in Electronic and Telecommunication Engineering from Istanbul Technical University in 1979 and MS degree from Michigan University in 1981. He joined the UCSD faculty in 1987, after receiving his PhD in Applied Physics and Electrical Engineering from UCSD the same year. 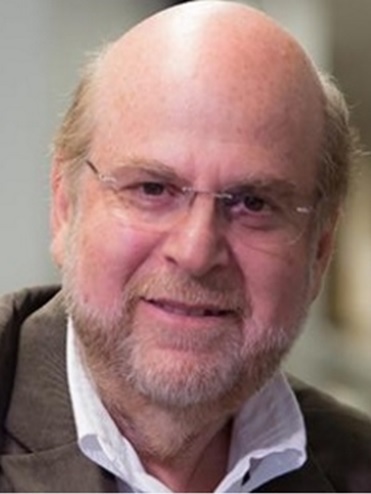 Esener is an internationally known expert in cancer nanotechnologies, photonics and opto-electronics, and he has been closely involved with many startup companies based on technology developed in his laboratories, and holds more than 20 issued patents in these areas. In the recent past he has served as the director of the Nano-Tumor Center a Cancer Nanotechnology Center of Excellence funded by NCI, the DARPA-funded multi-university Center for Chips with Heterogeneously Integrated Photonics (CHIPS), the 3D-Opto-Electronic Stacked Processors industry/university consortium; and the Fast Readout Optical Storage (FROST) Industry consortium. He has authored more than 180 journal publications and 250 conference abstracts. Esener is a member of IEEE, OSA, and SPIE, and co-founded San Diego-based Nanogen, Optical Micro-Machines, Parallel Solutions, Genoptix, Devacell, Cellix, Orimedix, Ziva and Call/Recall Inc's. Esener also serves as the co-chair of Sabanci University Board of Trustees. "Superior Strategy in Entrepreneurial Settings"
How do entrepreneurs and executives form superior strategies in new and growth markets? Understanding this strategy formation is theoretically intriguing because it pushes beyond the boundary conditions of the traditional logics of position and leverage to the less-understood opportunity logic where advantage is precarious and often short-lived. It is also practically relevant, especially for technology-based firms. Strategically successful firms in these settings like Google, Tencent, and Spotify are primary motors for economic growth, but their strategists are challenged by the “high velocity” of their markets and opportunities. Two intertwined themes are at the core of superior strategy: (1) broad view of the strategic playing field enabling better and smarter understanding of opportunities (thinking) and (2) action organized at the “edge of chaos” enabling flexible yet efficient capture of opportunities (doing). Bottlenecks link the two. 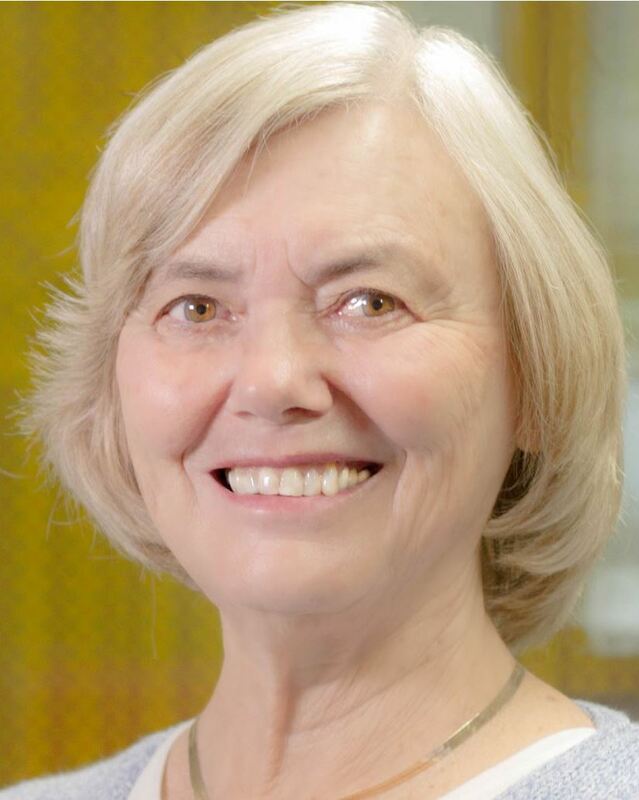 Dr. Kathleen M. Eisenhardt is the Stanford W. Ascherman Professor of Strategy and Organization at Stanford University and co-director of the Stanford Technology Ventures Program. Her recent best-selling book (w/Don Sull) is Strategy as Simple Rules, named a “top 10 summer read” by the Wall Street Journal. 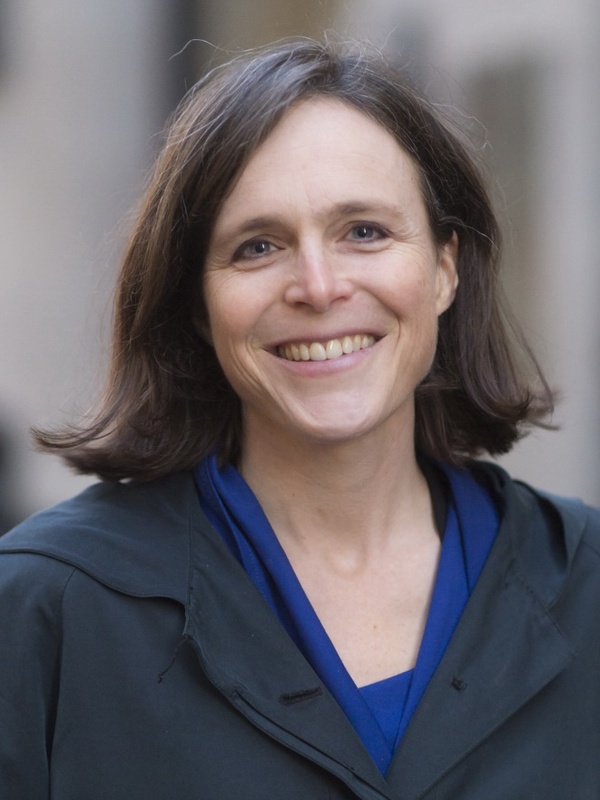 Eisenhardt’s research sits at the nexus of strategy and organization theory where she focuses on high-velocity markets and technology-based firms. She is now studying strategy in distinct economic “games” and strategy as simple rules, particularly using multi-case methods. Her PhD is from Stanford’s Graduate School of Business. "Innovation for Impact: Value-creation as the necessary competitive advantage"
We are in the global innovation economy. There are abundant unmet opportunities in large markets, but technology often improves at exponential rates and global competition is increasingly fierce. Unfortunately, today innovative success is often poor. S&P 500 companies last for less than 15 years before going away. Experience shows that most R&D has little or no value. Most university “technology transfer” programs lose money. The application of value-creation best practices significantly improves innovative output. Remarkably, few professionals have the value-creation perspectives and skills required to systematically identify and develop major new opportunities. This talk reviews the innovative practices used at SRI International when I was CEO. These practices took SRI from 20 years of failing to tripling in size and creating tens of billions of dollars of new market value, including HDTV, Intuitive Surgical, and Siri, now on the iPhone. Similar practices are described in a 2017 National Academy of Engineering report on value-creation best practices. Based on these concepts, we have created an “Innovation for Impact” value-creation guidebook for use by NSF. The ability to use these practices and systematically create important new R&D programs and high-impact innovations are among the most important skills a professional can have. Dr. Curtis R. Carlson served as SRI International’s CEO from 1998 to 2014. Carlson’s new company, Practice of Innovation, LLC, works with companies, governments, and universities to improve innovative performance. During his time at SRI its revenue tripled and SRI became a model for the systematic creation of high-value innovations, such as HDTV, Intuitive Surgical, Siri, and many other world-changing advances. Before joining SRI, Carlson worked at RCA, GE, and the Sarnoff Corporation. In 1977, he started and helped lead the high-definition television (HDTV) program that became the U.S. standard. In 1997 the Sarnoff team won an Emmy. In 2000, another team started by Carlson won an Emmy for satellite broadcast quality.